The staff were amazingly helpful. The place was very clean. The location was decent, about a ten minute walk from Bastille area. Far from all major tourist attractions but a short walk to a train station. The hotel is centrally located. The room was minuscule but clean. 5 minutes walk from the train station and restaurants. Great location. Quick walk to Gare de Lyon for RER and Metro. Very nice 24 hour staff. Quiet room. Great neighborhood restaurants. Close to station Gare de Lyon. Good breakfast included. One of our best sellers in Paris! 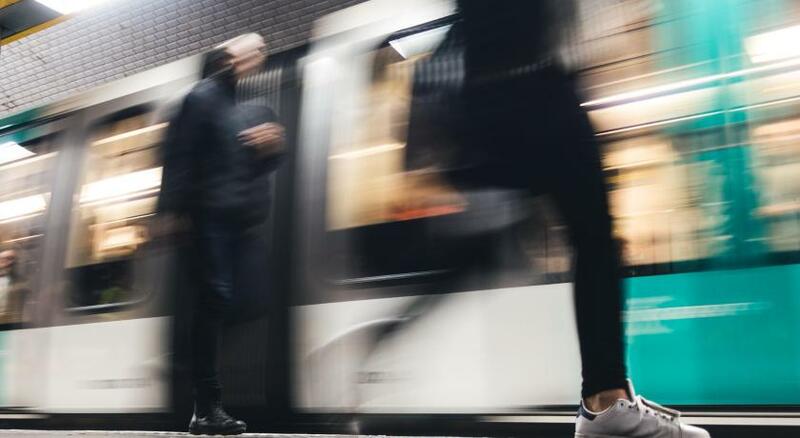 Located just 1,000 feet from Gare de Lyon TGV Train, RER and Metro Stations in central Paris, this air-conditioned hotel offers a 24-hour reception and ticket service. The soundproofed rooms are equipped with free WiFi access. Each air-conditioned guest room features a flat-screen TV and a desk. All of the rooms have a private bathroom with a shower and free toiletries. Guests can enjoy a buffet breakfast every morning while reading the newspapers provided. A vending machine selling drinks is located at reception. Hôtel de France Gare de Lyon Bastille is located just 1,650 feet from the banks of the River Seine. The trendy nightlife of Bastille is a 10-minute walk away. Public parking is available nearby. 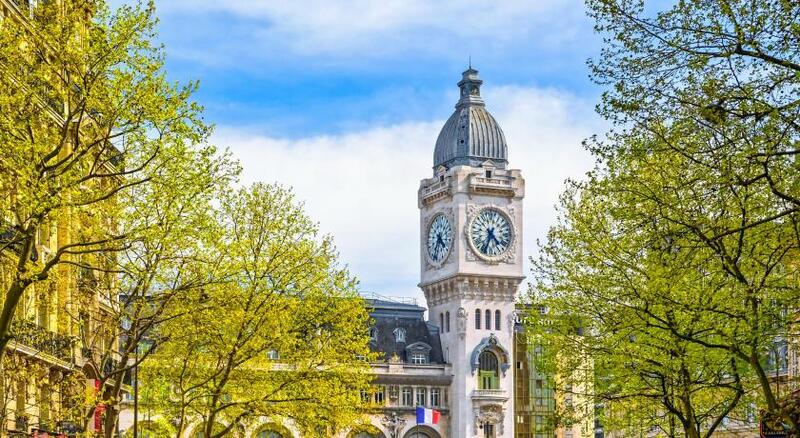 When would you like to stay at Hôtel de France Gare de Lyon Bastille? These air-conditioned triple rooms feature soundproofing and offer views either of the property's interior courtyard or of the street. The private bathroom is equipped with a shower, toilet and hairdryer. A welcome tray will be provided in the room upon arrival and extra features in the rooms include a mini-bar, a flat-screen TV with Canal+ and free WiFi. These air-conditioned quadruple rooms feature soundproofing and offer views of the street. The private bathroom is equipped with a shower, a toilet and a hairdryer. A welcome tray will be provided in the room upon arrival and extra features in the room include a mini-bar, a flat-screen TV with Canal+ and free WiFi. These air-conditioned double rooms feature soundproofing and offer views either of the property's interior courtyard or of the street. The private bathroom is equipped with a shower, toilet and hairdryer. Extra features in the rooms include a welcome tray, a flat-screen TV with Canal+ and free WiFi. These air-conditioned twin rooms feature soundproofing and offer views either of the property's interior courtyard or of the street. The private bathroom is equipped with a shower, toilet and hairdryer. A welcome tray will be provided upon arrival and extra features include a flat-screen TV with Canal+ and free WiFi. This triple room features air conditioning and a separate kitchenette with a stovetop and kitchenware. Our hotel is renovated on 3 floors and the last part will be completed in early 2016. To access the top floor (4th), take the elevator to the 3rd and then up some stairs. Unfortunately, the architecture of our establishment, did not allow us to pursue the path of the elevator until then, thank you for your indulgence. However the view on the Parisians roofs is charming! We have put in place, the express breakfast to "take away" for all customers who have a train to catch early morning or another and do not have time to have breakfast in our room. House Rules Hôtel de France Gare de Lyon Bastille takes special requests – add in the next step! Hôtel de France Gare de Lyon Bastille accepts these cards and reserves the right to temporarily hold an amount prior to arrival. The hotel does not accept checks as a method of payment. The convenience of being close to all modes of transportation, decent rooms, nice kitchenette and friendly staff. Plenty of food options nearby. The location is very good, right beside the metro and train station. The bed was super comfortable! It was very stuffy and warm even with the air conditioning on. There was limited toilet paper. A bulb was gone on the bedside. No first floor. The wifi was very weak in our room. Staff at the reception were very nice and friendly. The location is great and we walked to some of the landmarks but there’s also a bus stop very close that takes you to the centre. There are lots of restaurants nearby and a supermarket not far away. There were pastries in the kitchen/lounge area every day. There is no lift at 4th floor . Everything. The room doesn’t look like the pictures. I just can’t believe I book this place. It was a nightmare. Perfect location to go around the city, comfortable rooms and nice staff! no hot water , extremely small bed. noisy room. The hotel rooms were not as I expected. They are much older than the pictures appear. It was very disappointing when we first arrived. It’s not a bad hotel, it’s just not what we expected. Rooms on 4th floor aren’t accessible by elevator. My dad is upwards in age and stairs are hard for him. He managed but it’s something to mention.